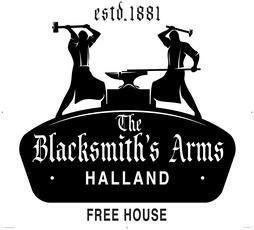 Steve and Viki welcome you to The Blacksmith's Arms in Halland. 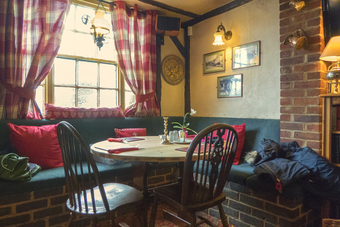 With a wide selection of local and regional cask ales always available and home cooked food, this 19th century pub is located on the A22. 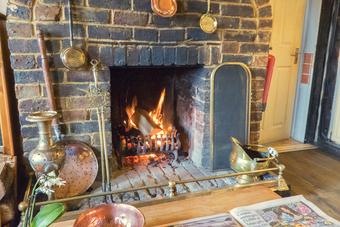 A real fire is a feature in the winter and a warm welcome is assured. Vegan and gluten free food and drinks. Dog friendly. 6 letting rooms also available. Recently stayed overnight & ate in the pub in the evening and breakfasted in the morning. Good accommodation. Staff pleasant & helpful. Food good. Went here for sunday lunch. 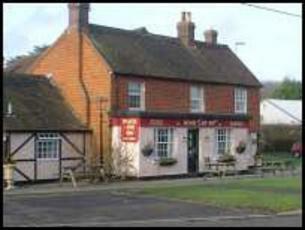 Its a lovely looking pub and really cosy inside, which is why I have given 4 as a rating. A couple ordered before us but the pub wasn't busy at all. We then waited over half an hour for our lunch. Thought this was unusual for a pub offering sunday lunch. When it arrived there was no apology for the wait. I am veggie so had asked for no meat, wasn't offered an alternative but I am happy to just have the veg and trimmings. I would have expeced an extra potato or a bit of extra veg but got exactly the same portion size (which wasn't particularly generous to start with) as my husband who had the pork (which was quite fatty). I also got charged the same as my husband and was a bit surprised, at �8.50 we thought this was quite a price for such a long awaited measley portion of food. The food quality was ok, but nothing special. When we left the couple who had ordered before us were still waiting, we estimated 45 mins plus for them! I don't think we'll make the trip back! This was AWFUL! Really Awful. I was passing throught with my son at the weekend, we had been to Charleston house near Firle (having eaten at the Ram Inn in Firle the day before, which was wonderful) and my son using the local map given free in shops, musuems etc spotted this pub. We were hungry and I left my better judgement far behind and decided to go against my instinct. We parked round the side, not a problem. The pub was empty at lunchtime, (round 1.30pm ish), should have backed out and ran there and then!!! Landlord helpful, if not a little vague! He handed me bar snacks menu, but half the menu was not available. He said he could russle up an hamburger and fries for my hungy 10 year old son. When it arrived I cut through it (so I could have a bit) and the mince was RAW, not rare, but raw!!. I took it to the bar and said I am so sorry, don't want to make a fuss but the meat is.... the chef was at the bar chating to the landlord and carried on the sentence with 'rare', he should have let me finish! I said I don't mind if he reheats it but I m afraid to get sick if my son eats it. He said the mince was fresh that day and generally made me feel silly and like I was making a fuss. 15 mins later the new plate arrived. Meat the side of a tennis ball, no seasoning, the bunwas stuffed with under cooked bacon! Imagine biting into uncooked, fatty bacon rind!!! smothered in cheap, sweet BBQ sauce. Chips, frozen and deep fried, nothing special. No salt, not sauces to accompany. Sorry to go on but I will never go back and this was not a good experience. I would have had a better meal at a Harvester!!! If you are looking for good, locally sourced food in a stunning location try THE RAMM INN in Firle village, perfect setting and beautiful walled gardens. 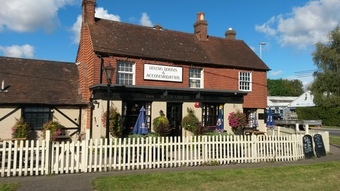 Under new management in 2009 and recently refurbished. The new landlord is very jolly and welcoming with a great team behind him. 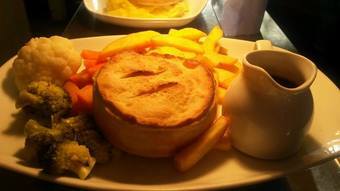 Great pub food. The bedrooms have all been modernised and updated with flat screen TVs, and luxurious bedding and accessories. What a transformation!